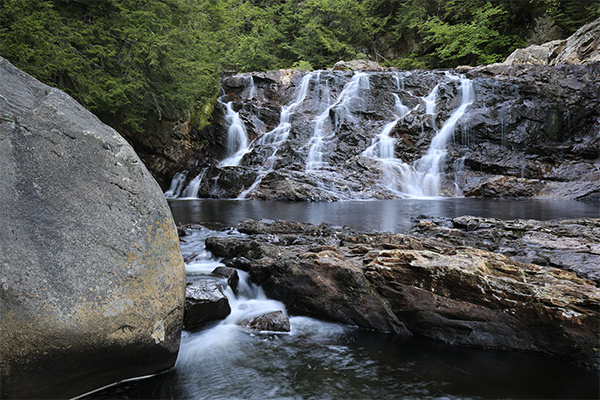 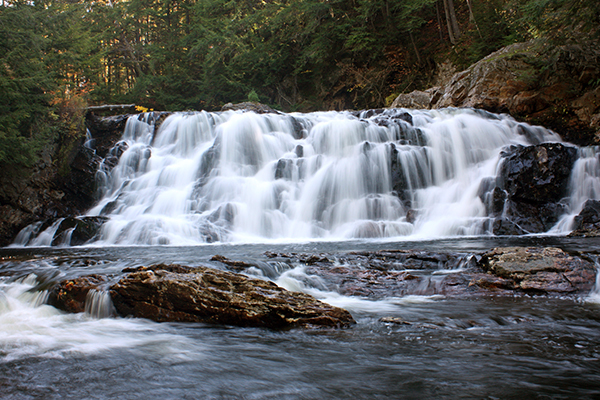 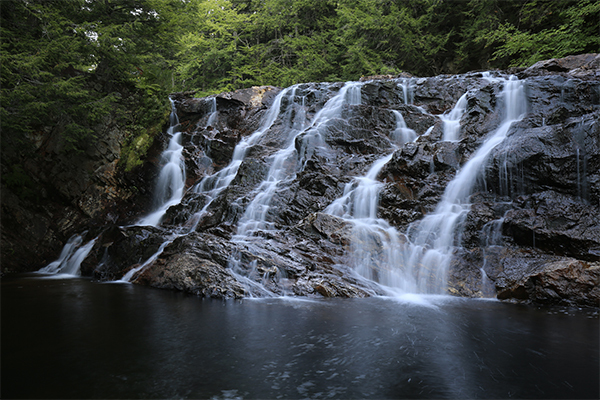 Campton Falls is a traditional block-type waterfall on the Beebe River. 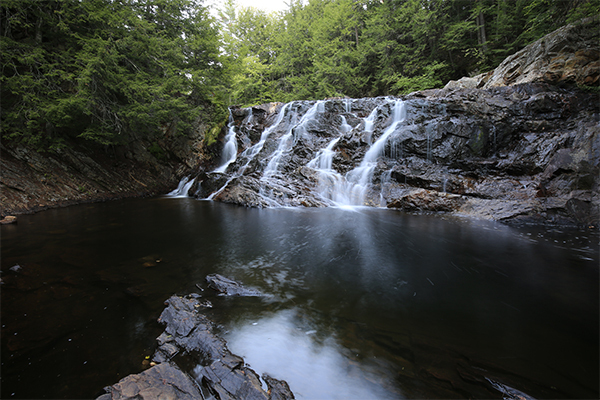 Within a backdrop of pine and hemlock trees, Campton Falls, which is sometimes called Beebe River Falls, evokes feelings of ruggedness and seclusion, all despite being only about 50 feet from the road. 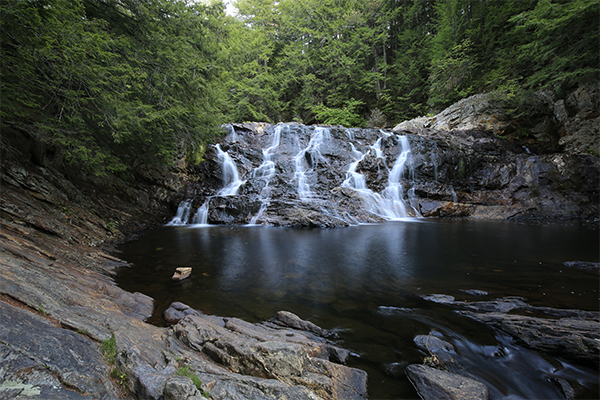 Catch this waterfall if you are ever in the Campton area. 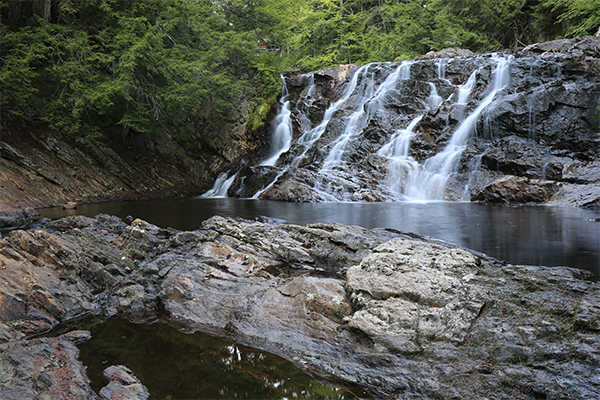 You might be surprised to see such a stout and powerful waterfall here, as the road is rather flat and the falls cannot be seen from the road. 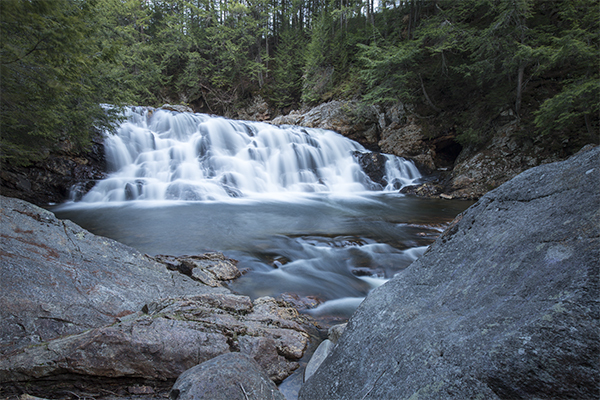 When you do reach the waterfall, observe the two sounds emanating from the waterfall: the crash of the block and the gurgling and splashing of the small cascades downstream. 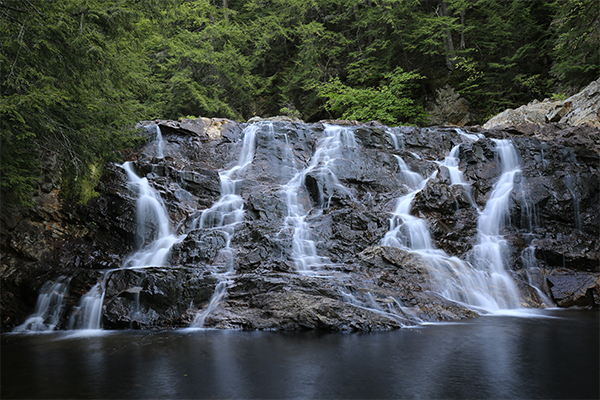 The directions in the second edition of the New England Waterfalls guidebook should have said "Turn onto NH 49 east" and not "Turn onto NH 49 west".